Skin – we can’t live without it! It takes a lot of care to maintain perfect skin, so there is no wonder why so many of us love to hate it. All that effort is very much worth it, though. Feeling more hate than love when it comes to skin right now? It’s time to address that unbalance and find the love again! Here are some reasons why we all love to hate skin. Summer is the perfect time for spaghetti tops and denim shorts. But all that sun on so much skin can be super dangerous. If you are outside for too long in strong sun, you can quickly burn. And most of the time, you won’t realize you’re burnt until the next day! So skin protection during summer is crucial. 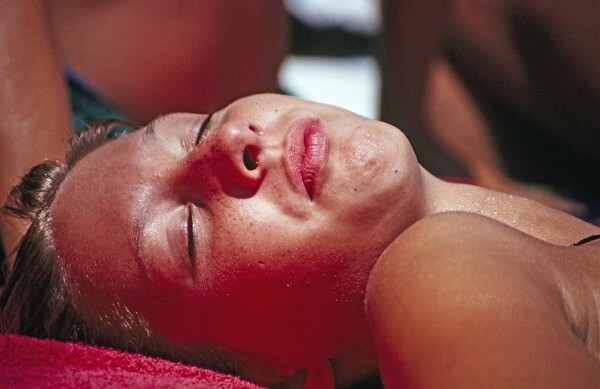 It will help you tan without turning red like a lobster. It can also save you a lot of pain. But, most of all, protecting your skin will reduce your risk of skin cancer. So remember to wear sunblock. It will save your skin and also help it look its best! Facial skin shows some of the very first signs of aging. Once wrinkles and age lines begin to develop, you might think there is no going back. But don’t worry; there is plenty you can do to battle aging. One of the quickest ways to return to youthful skin is plastic surgery. If you’re afraid of going under the knife, there are also many non-invasive cosmetic treatments. For example, chemical skin peels. It’s a lot of effort to get your skin looking youthful again, but it sure is worth it! It’s not only you who feels tired after a sleepless night; your skin can also feel the effects as well! Tired skin will look puffy and slightly saggy. You might also develop bags and dark circles around your eyes. The easiest way to reverse these signs is to moisturize your skin every morning. Wearing a night cream can also soothe your skin while you are asleep. After a busy week at work, why not relax in a bubble bath with some cucumber slices over your eyes? Cucumber contains plenty of vitamins that can help the skin around your eyes. It also does a great job at replenishing moisture. But, ultimately, your skin needs enough sleep to make sure it looks great every day. So make sure you’re getting a good night’s sleep every night! Admit it; you must have felt like skipping your skin care routine at least once, right? It can be boring and monotonous, but at the same time utterly key to healthy skin. You don’t need to break the bank when buying all your skin products. A good moisturizer and cleanser should be enough. If you can afford them, a toner and night cream are well worth the extra pennies. So even though there are a few things that annoy us about our skin, overall, we love it really. After all, it helps us look like us!